Book a Friday or Sunday event by April 1st, 2018 and get $500 towards your wedding. Call Shelli for more information at 910-285-1487. Luxury and value go hand-in-hand for Mad Boar weddings. Our staff works hard to make your special day seamless and memorable, and our different venues offer warm and inviting backdrops for all of your wedding weekend events. 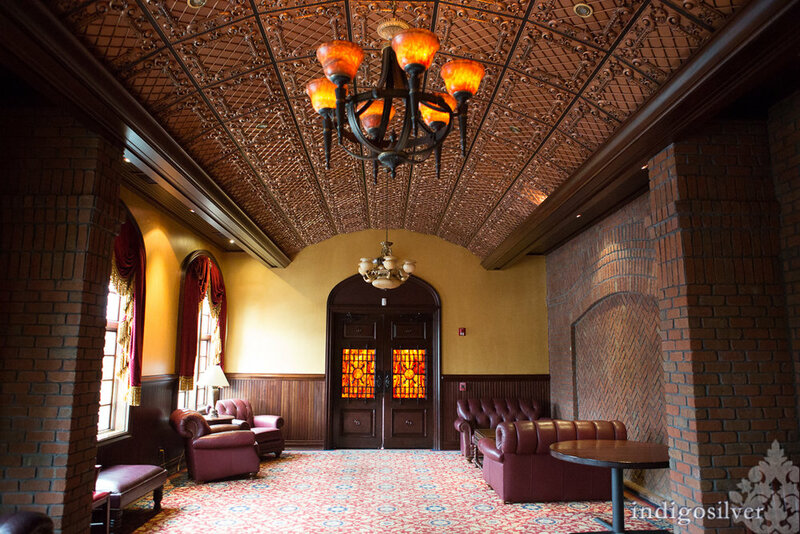 For your rehearsal dinner, bridesmaid luncheon, or morning-after brunch, the Renaissance Room offers a smaller space with comfortable, casual decor. The Celtic Court is an elegant, impressive location for your wedding reception. The Full Celtic Court Ballroom offers seating for up to 225 guests with a stage and room for a dance floor. Its chandelier lighting, coffered ceilings, and richly-hued decor makes it a stunning setting for formal events. For smaller receptions, the Half Celtic Court Ballroom can seat up to 125 guests. If a stunning outdoor location is what you're looking for, the waterfront River Lodge offers a magical setting for ceremonies and receptions. Say "I do" on the sandy shore of the Cape Fear River, and dance the night away by the light of the fire pit. The River Lodge is absolutely a memorable venue. Don't forget the groomsmen! They can hang out and watch a game at Murphy's Irish Pub while the ladies get ready for the big day. Mad Boar is also convenient to several accommodation options to make celebrating even easier for your guests. The Holiday Inn Express is adjacent to our building, and the award-winning suites and cottages at River Landing are less than five minutes away. When you host your wedding event at Mad boar, you will be cared for by our top-notch wait staff, who aim to go above and beyond to make your event a once-in-a-lifetime experience. We will work with you to select the perfect options from our extensive Catering Menu, and can also provide a list of recommended vendors to make the rest of your planning a breeze. I am the * Bride Groom Parent of the Bride Parent of the Groom Wedding Planner Someone Else!